Help: How do reserve price auctions work? Some items (excluding No Reserve Auctions) may have a reserve price. This simply means that the seller has a preset bid amount that must be matched or exceeded. The reserve price is hidden, however it states at the top of the item if the reserve has been matched or not. 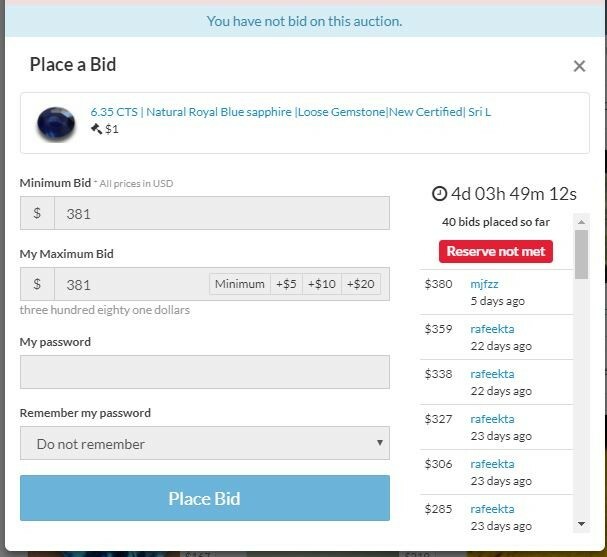 Additionally if you place a bid on a reserve price item, you will notified if you met the reserve price. If the reserve is not met before the auction closes, any bids will remain, however the auction will restart its countdown and will remain unsold.